So things are growing on the deck. The runner beans have started to really run… up the trellis. The trumpet vine is not yet very tall, and hard to distinguish among the other vines. I am a little concerned that it will get crowded, but I will leave it be for now. If it looks too sad, I will move some of the runners out of that pot. 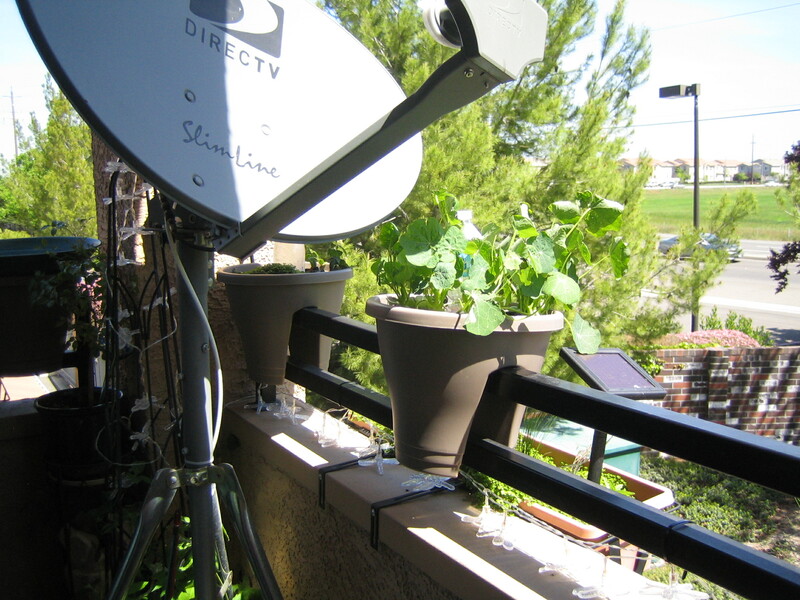 The runner beans will likely be the least to damage anything on the deck. They are a twining climber. The stem twists clockwise around an item. I am not sure how the trumpet vine climbs. In my reading it seems like it is one of the kinds that can cling to rough services. 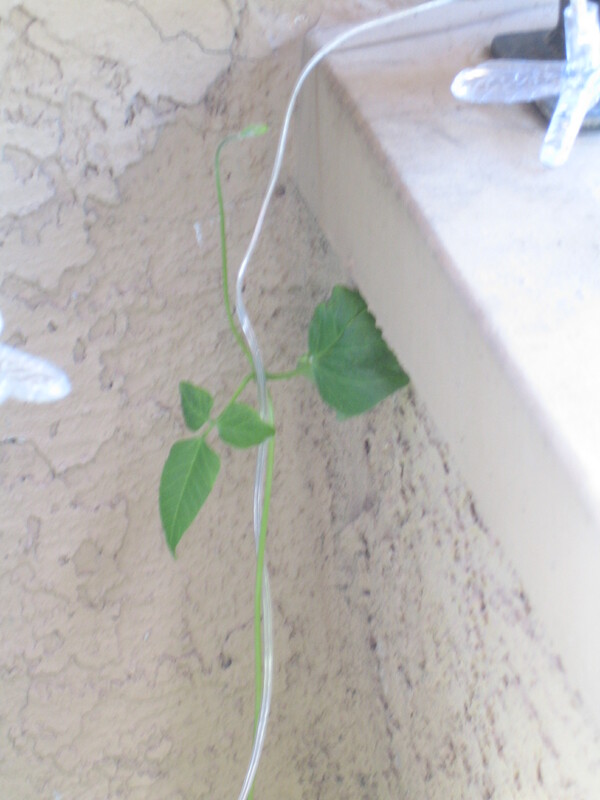 This could mean it has an adhesive like some Ivy, or it could have tendrils that hold on. But it does not seem to be a twining climber. I have my first flower on the deck. 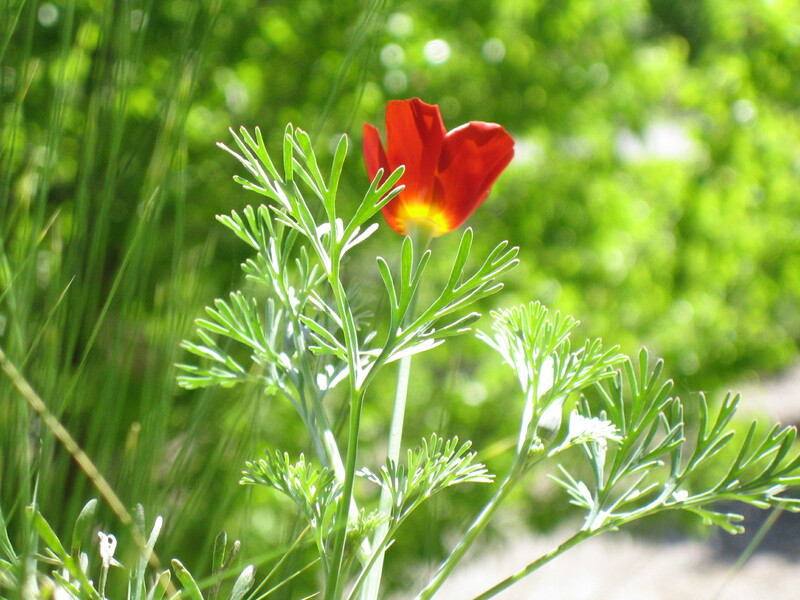 It is a lovely little California Poppy. I have another one getting ready to bloom. I am excited. 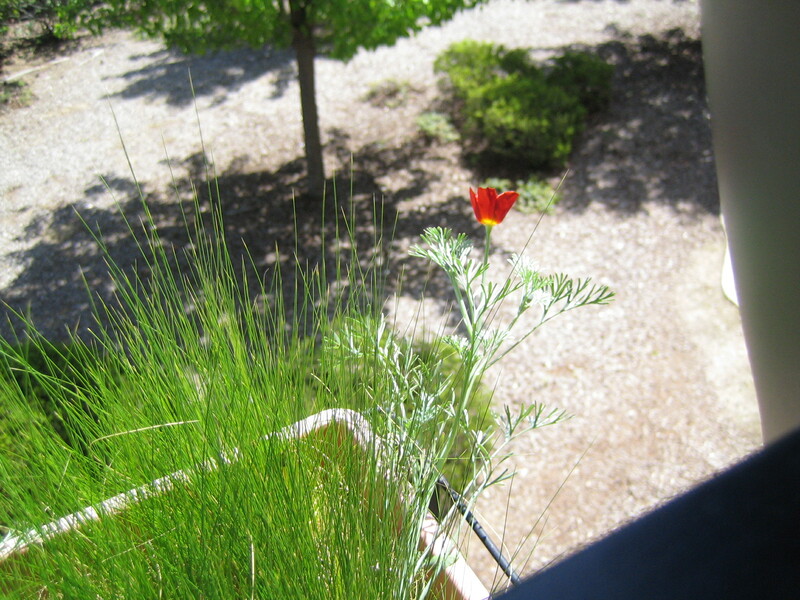 None of the other poppies are showing flower buds yet, but with those two coming I expect to have more poppy flowers. 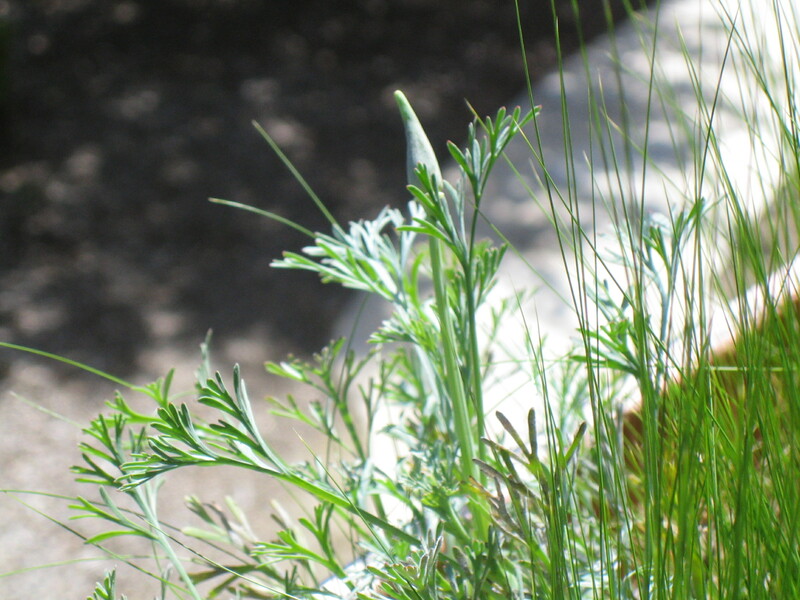 If my other flowers do not do well this year, I plan on getting as many of the different variety of California Poppies as I can, and plant them in all the pots. I love the flower, and it is very easy to care for. I had to trim my Melissa plant. We had a wind storm that damaged most of it. The leaves got all black, and look terrible. So she got trimmed right back and is bouncing back nicely. Some of my other plants got damaged as well in the wind. So far it doesn’t look like anything was damaged beyond surviving. I was concerned there for a bit though. My bird bath is being visited now and then by a bird or two looking for a drink. No one has taken a bath in it yet though. I don’t have a camera set up yet to take pictures of a bather, but I am hoping to work on that. I actually don’t really expect baths so much as birds coming for a drink. I am changing the water every 4 to 5 days. I don’t want anything to breed in it. My watering system is working very well. I have gone though maybe a gallon and a half since I started using it. 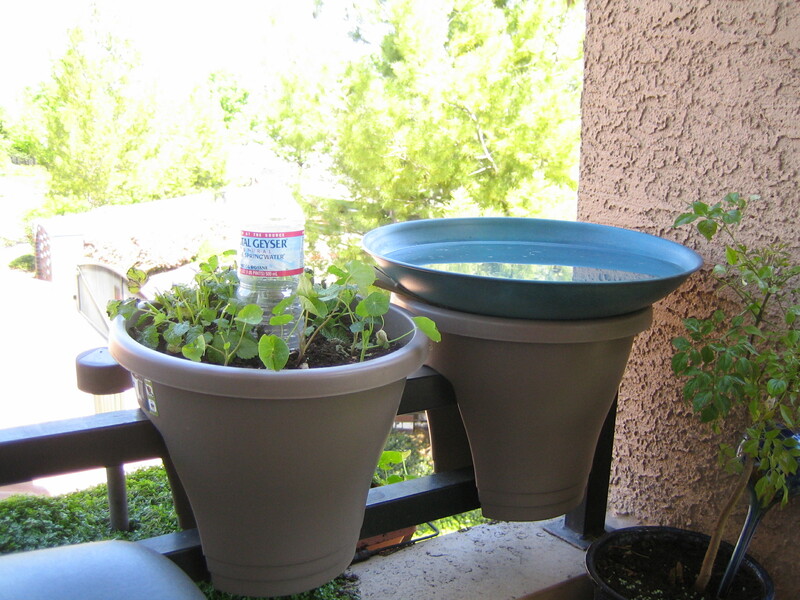 I am noticing that the pots I am watering could be another 4 to 5 inches higher to slow down the siphon. 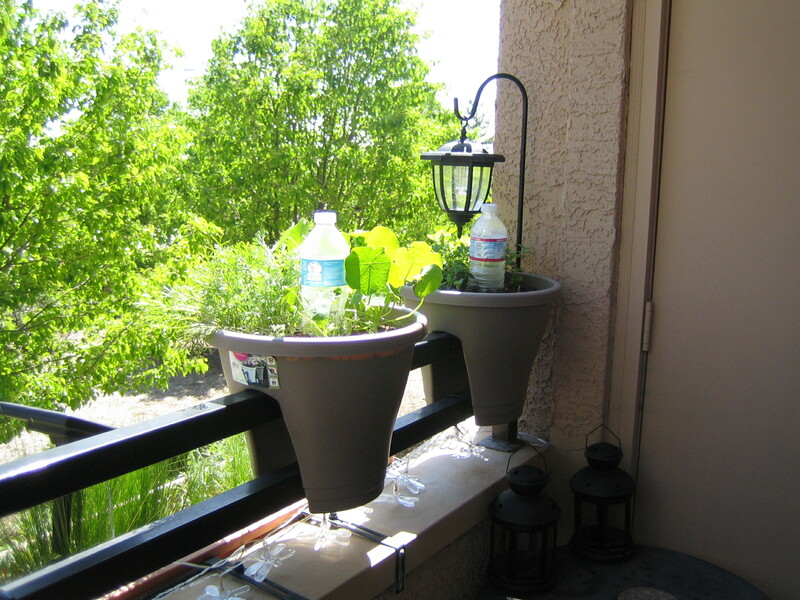 I am also doing a low tech watering system for my railing pots. I have taken a regular water bottle and poked two small holes in the bottom. Filled it with water, and a little plant food, and put the cap back on. Then I dug a bit of a hole to place it in, and the bottle slowly leaks out the water into the pot. I would prefer a thicker, stronger bottle, but the ones I have will work for now. One reason I bury them about an inch is so the water is getting to the roots, not the surface. And it lowers the likelihood that the wind will blow them out. So far this is working well. I don’t have any idea what to do for my window boxes. I will keep thinking about it as the spring progresses. I had thought about using the plastic spikes you can buy to attach to the top of a bottle. But after buying the last water system, I am not able to spring for any of them. At least not now. I have not checked with the apartment complex to find out just if there are any rules about decks. 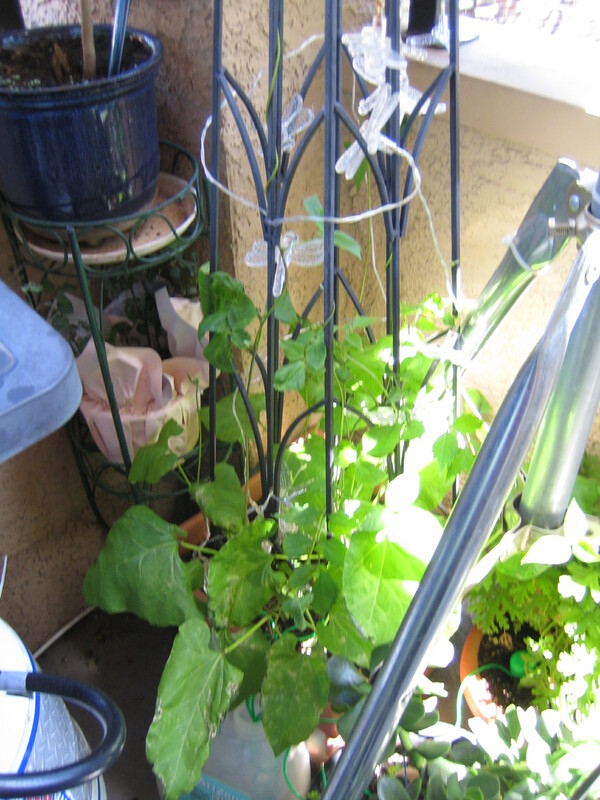 I need to find out if I can put a spring rod up with a light curtain to reduce the sun, or even train my vines with strings up to a spring rod.